Dr Carroll studied Psychology and Medical Sciences at the University of Cambridge, before pursuing clinical medical training at the University of Oxford. He subsequently trained in psychiatry in the UK, including completion of a Research Fellowship at the University of Edinburgh. He emigrated to Australia and commenced work as a Consultant Forensic Psychiatrist in 1998. Dr Carroll has extensive experience in the civil forensic psychiatry domain. He is an experienced Independent Medical Examiner for WorkSafe Victoria and the TAC, and also regularly conducts assessment reports at the request of plaintiff solicitors. He is a qualified impairment assessor using the GEPIC and COMCARE methodologies. He has produced reports providing opinions regarding questions of ‘standard of care’ in a number of high-profile cases. 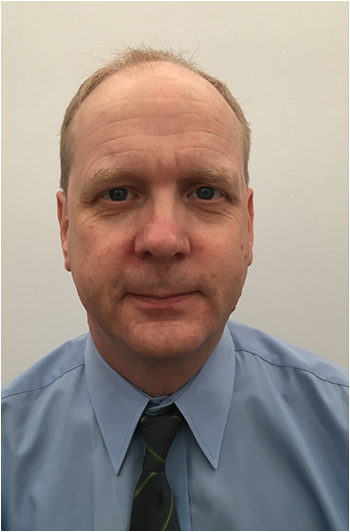 Dr Carroll has worked in criminal forensic psychiatry since 1998. He has held a variety of positions at the Victorian Institute of Forensic Mental Health (Forensicare), including Assistant Clinical Director and Director of Training. Production of numerous court reports at the request of the Courts and the Office of Public Prosecutions. In his current role, he is the visiting psychiatrist to Hopkins Correctional Centre (HMP Ararat). He has also carried out interstate forensic consultancy work in New South Wales, Tasmania, the ACT and the Northern Territory. Dr Carroll is an Adjunct Associate Professor at the Centre for Forensic Behavioural Science, Swinburne University of Technology. He is an Honorary Senior Fellow at the Department of Psychiatry, University of Melbourne. He has published regularly in peer review journals on topics relevant to medicolegal and forensic psychiatry and is a regular reviewer for several academic journals. He has authored and co-authored a number of book chapters on topics relevant to forensic psychiatry. Dr Carroll is an Accredited Member of the RANZCP Faculty of Forensic Psychiatry and Chair of its Victorian branch. He has been awarded Fellowship of the Royal College of Psychiatrists (UK) in recognition of services to the profession of psychiatry. He is a former Chair and a current member of the Royal Australian and New Zealand College of Psychiatrists (RANZCP) Subcommittee for Advanced Training in Forensic Psychiatry. Click below to download Dr Carroll’s full curriculum vitae and to download a list of major cases in which he has provided psychiatric expert evidence.